Who Benefits Most From 3D Printing? One industry which truly stands to benefit from the advancements made in 3D print technology, is undoubtedly the manufacturing sector. Not only can prototypes and finished products be completed in more expedited timeframes, the reductions in cost and less downtime is just as impressive. Why Finnovation for 3D Print Manufacturing? The popularity and efficiency of 3-D printing has resulted in new companies emerging from every corner of the country. Here are just a few reasons to partner with Finnovation for your additive manufacturing and 3D printing needs. Here is a link to download the information sheet on the sPro series Selective Laser Sintering 3D printers employed by Finnovation Product Development. I take pride in being a small operation capable of handling even the largest and most demanding 3D printing tasks for the country's leading manufacturers. Finnovation offers competitive pricing and the fastest possible lead times. Every job is a "rush" at Finnovation Product Development. 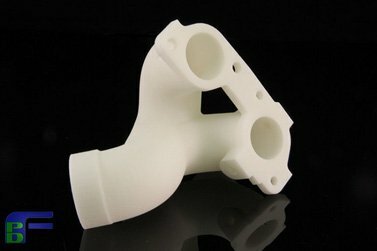 Working one-on-one with you will ensure that your parts get printed quickly and accurately to maximize both part functionality, and the benefits of incorporating 3D printing into your manufacturing process. If you require 3D printed parts for your project, then contact Finnovation for a no obligation consultation to explore how 3D Printing and additive manufacturing technology can best benefit you.